As much as any of the Junior Grand Slams, the winner of the French Open has tended to go on and establish themselves as a solid upper level WTA player. Last year’s champion, Belinda Bencic, has been touted as one of the most promising young players around, while previous champions in the past eight years include Agnieszka Radwanska, Alize Cornet, Simona Halep and Elina Svitolina. While they have not quite achieved success yet, Kristina Mladenovic and Annika Beck have both reached the top 50 as well. So, who are the names that we should be looking out for in this year’s edition? The top seed will be Serbia’s Ivana Jorovic. Currently the #2 in the rankings, she has mainly concentrated on the senior tour in 2014, but drops back to the junior level in search of an elusive Grand Slam title. Last year, she burst onto the scene in May with a winning run of 24 matches on clay in Grade 1, Grade 2 and a $10k ITF event, with notable wins over Aliona Bolsova Zadoinov, Jil Belen Teichmann and Anna Bondar. She went close to winning her first Grade A title at the Orange Bowl, where she battled her way to the final before going down in three sets to Varvara Flink. However, she has found it harder in 2014, failing to make it past the second round of a tournament until this week in Maribor. Despite this, the experience gained against older players should give her a boost. The second seed is undoubtedly the form player on the junior tour in 2014. Catherine Cartan Bellis has catapulted herself up the rankings after winning 28 out of 29 matches on the junior tour this year, including three Grade 1 titles and a first Grade A title on the clay in Milan last week. Just to emphasis her talent, she is the third youngest player in the draw, yet arguably starts as the favourite to lift the title. She has already beaten several former top-200 players on the senior tour and will be very difficult to beat here as she looks to become the first American champion at Roland Garros since Jennifer Capriati in 1989 (you can read more about Bellis here). The Americans also have a second major hope in the shape of Tornado Alicia Black. Last year’s US Open finalist is more at home on the hard courts than the clay, but it would be dangerous to write her off, given she does have a senior $10k title to her name on the clay at Amelia Island. She made her first appearance on the junior tour at the Trofeo Bonfiglio in Milan last week, where she reached the quarter-final before losing to Jil Belen Teichmann, but will hope to go further in Paris. While those are the two Americans with the best chances of winning, the USA is represented in force in this tournament with Sofia Kenin, Usue Maitane Arconada, Katrine Isabel Steffensen and Dasha Ivanova in the main draw and Kaitlyn McCarthy and Michaela Gordon both having chances to successfully navigate qualifying. The Moldovan-born Spaniard, Aliona Bolsova Zadoinov, will be the fourth seed and already has two Grade 1 titles on clay to her name in 2014, having won in Beaulieu Sur Mer and at the Banana Bowl in Brazil. However, she will have been disappointed with her performance last week against Bellis in Milan, where she collapsed to a 6-2, 6-0 defeat amid a flurry of double faults. Her limited appearances on the senior tour this season have not returned the ranking points that she would have been hoping for, but a title challenge here would give her confidence to push on. Jil Belen Teichmann has enjoyed a good year thus far. The Barcelona-born Swiss player lifted the Grade A title on the clay in Porto Alegre in March, beating Zadoinov in the final, avenging her defeat the previous week at the Banana Bowl. She reached the semi-final at the Trofeo Bonfiglio last week, losing to Naiktha Bains, but did record good wins over Sandra Samir and Tornado Alicia Black, and she will have gained plenty of confidence from her most recent appearance on the ITF tour, where she beat two top-400 players before pushing Lucie Hradecka to a third set. She may only be the fifth seed, but she is one of the real contenders for this title. Varvara Flink is the first player mentioned to have played at Roland Garros before, although she will be hoping to improve on her first round exit last year. She won the prestigious Orange Bowl Grade A title back in December on the clay, beating Ivana Jorovic in the final. She has also started to make an impact on the senior tour with an impressive run to the semi-final at the $50k event on the clay in Medellin, which should give her confidence here. Two of last year’s quarter-finalists return this year, hoping to go even better. Russia’s Darya Kasatkina and Slovakia’s Kristina Schmiedlova both had excellent runs last year and will be hoping to draw on those memories in 2014. 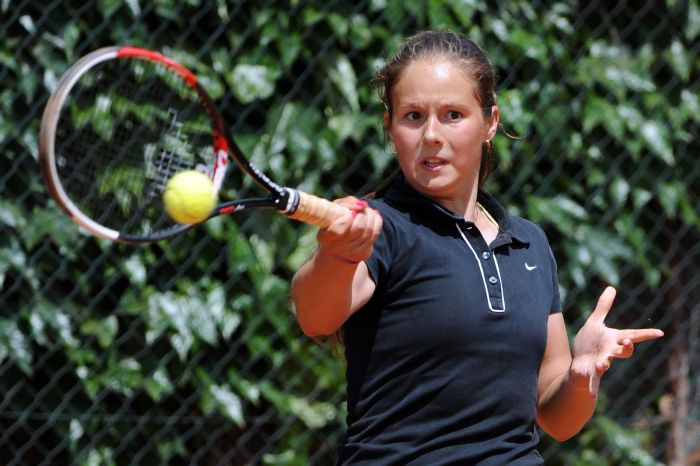 Kristina Schmiedlova has a Grade 1 title on clay to her name in 2014 and will be looking to live up to the achievements of her sister, Anna, who beat Venus Williams in the second round of the senior draw. Recent results on clay have been slightly disappointing, but she has shown in the past that she has the talent to go far in Paris, no more so than last year when she was a surprise quarter-finalist before losing to Louisa Chirico. Darya Kasatkina is the only girl to have beaten CiCi Bellis in 2014, which means that she must be treated as a real contender. That win was in Santa Croce two weeks ago, where she dropped just five games in beating the American and lifting the Grade 1 title. Bellis took her revenge last week in Milan, going one better and dropping just four games in a 6-2, 6-2 victory. It would be no surprise if they were to meet in Paris and settle their best-of-three series and the winner would be a likely winner of the tournament. The Russia has good memories of Paris from last year when she reached the quarter-final, only being stopped in a tough three-set battle against Ana Konjuh, who has since made a real impact on the senior tour. The other two players that make up the top 10 seeds are Anhelina Kalinina, who prefers the hard courts, but who does have a run to the final of a senior $25k event on clay to her name, and China’s Ziyue Sun, who has struggled on clay in the past. The best hope for Britain to find their first French Open champion in almost 40 years is Katie Boulter. However, it seems unlikely given that she has failed to record a win on the clay courts at the junior level since August 2012. Australia’s challenge will be led by the trio of Priscilla Hon, who should be seeded 11th, Kimberley Birrell, seeded 16th, and Naiktha Bains, who put in by far the best clay court performance of her career to day in Milan last week, where she reached the final, beating Schmiedlova, Sun and Teichmann. She fell just short against Bellis in the final, but if she can repeat that form, she will certainly be a player that the leading contenders will want to avoid early on. Given the nature of the junior rankings, there are always a number of dangerous lurkers in the draw, simply due to the fact that they have not played much junior tennis over the past twelve months. Jelena Ostapenko certainly falls into this category, having already won three $10k ITF events on the clay this year to add to the Eddie Herr Grade 1 title that she won in December. 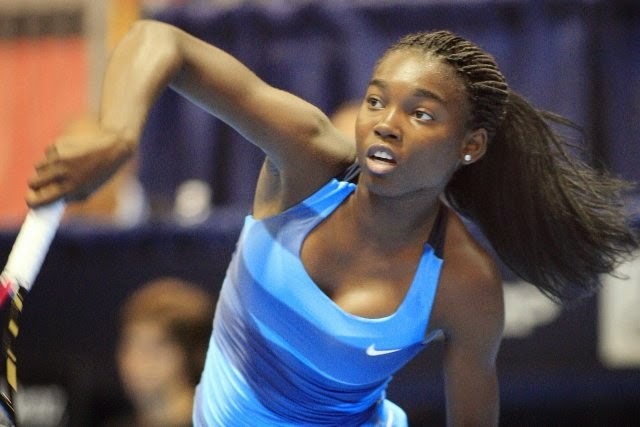 Francoise Abanda is another threat, having won a $25k title on clay this year as well as reaching the quarter-final of a $50k event in Charlottesville. She has beaten Belinda Bencic at Roland Garros in the past, so she has the talent to go far, despite her lack of seeding. Marketa Vondrousova, at just 14-years old, is the youngest player in the draw, but has a Grade 2 title to her name this year, where she beat Kristina Schmiedlova, and pushed Bellis as much as anyone in Milan. She is a future star, but this is probably a year too early for her. She could certainly worry some of the contenders though. Fiona Ferro is France’s best hope of a home champion for the third time in eight years. 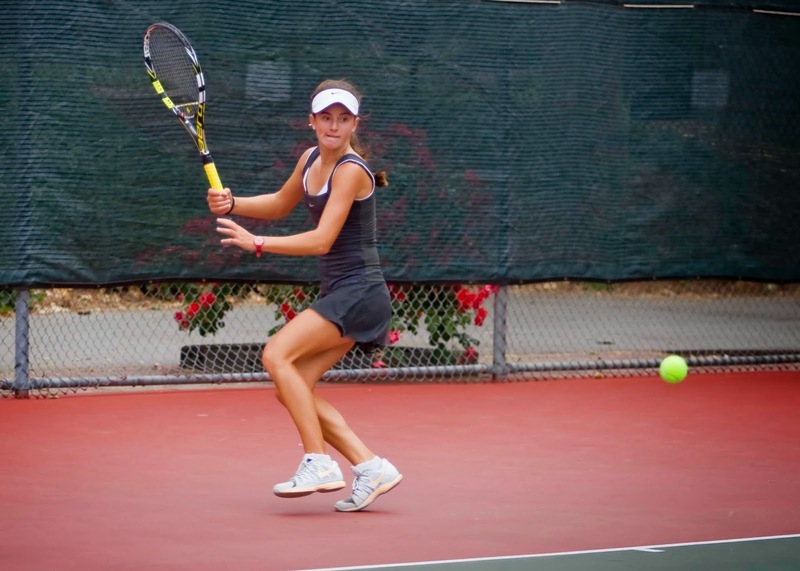 She has enjoyed a couple of decent wins on the ITF tour this year against the likes of Arina Rodionova and Sachia Vickery and was awarded a wildcard into the main draw here, where she lost 6-1, 7-5 against Sabine Lisicki. However, she has never seriously challenged for a major clay court title and this could be a step too far for her. Paula Badosa Gibert only just crept into the main draw, but is certainly capable of a major upset on her day. She leapt to attention in Casablanca, where she came through qualifying to lift the Grade 1 title, beating Kristina Schmiedlova and pre-tournament favourite, Sandra Samir, before proving that run was no fluke as she made it two Grade 1 titles for 2014 after winning the Trofeo Juan Carlos Ferrero in Villena last month. She has also beaten Ivana Jorovic on the ITF tour this year. Hungary’s Anna Bondar has reached a trio of clay court semi-finals in 2014 at the Banana Bowl, in Porto Alegre and in Santa Croce, losing to Bolsova Zadoinov and Bellis in the two most recent tournaments. While she could make it through a couple of rounds, I struggle to see her beating the top names. Unlike last year, there is no standout favourite for the French Open. While there are several strong contenders, there are a large number of players that could potentially go on a run to the title. If I were to pick my top 5 favourites, I would probably go with CiCi Bellis, Darya Kasatkina, Jil Belen Teichmann, Varvara Flink and Francoise Abanda, but it would be no surprise were the winner to be one of the other players that have been mentioned. Personally, I suspect that Bellis will show the class that has seen her collect so many wins in 2014, but there will be plenty of pressure in just her second ever Grand Slam event and there are a number of other players that will be waiting to cause the upset.